When you’re a fifth-generation brewer, making beer is in your blood. And so there was little question that Nick Shields, who grew up bantering about the industry with his grandfather, the legendary Boston brewer T.C. Haffenreffer Jr., would follow in his forebears’ footsteps. 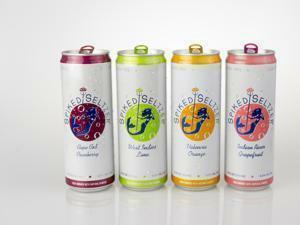 But Shields’ company, SpikedSeltzer, is brewing something that might seem to some like the anti-beer: a crisp, clear, carbonated alcoholic beverage that’s both low in calories and gluten-free. Sold in sleek silver cans in four fruit flavors, the Norwalk, Conn., company’s seltzer targets both health-conscious consumers and a new, rapidly expanding sweeter subset of the alcoholic beverage industry: hard soda. Demand for hard sodas has spiked in the past year, led in part by the stratospheric rise of Not Your Father’s Root Beer, an alcoholic version of the classic drink made by Small Town Brewery in Chicago, a subsidiary of Pabst. When IRI, a Chicago market research firm, ranked Not Your Father’s Root Beer the sixth-best-selling craft beer brand in stores last year, mainstream brewers scrambled to craft batches of their own. Boston Beer Co. launched its version of hard root beer through its Coney Island Brewing Co. subsidiary, and Anheuser-Busch followed suit with Best Damn Root Beer. Now, boozy new flavors like cream soda and cherry cola are cropping up. Shields said his grandfather was a beer purist. “He looked at me once and said, ‘Nick, you flavor people are ruining the beer industry,’ ” he admitted. Shields is hoping to position himself in the center of two trends, capitalizing on the hard soda craze while taking into account that tastes have shifted toward sparking water as a healthy alternative to soft drinks. Between 2009 and 2014, US consumption of carbonated bottled water increased by 56 percent, while soft drink sales slumped. Shields is betting that the boozy soda bubble might pop and that his fizzy alternative to syrupy sweet stuff might be exactly what the public is looking for. That is, if he can find an audience in an increasingly crowded market. “We’re in a world right now that’s on a taste craze,” said Greg Avola, cofounder of Untappd, a beer-tracking app, noting that people are apt to “try anything” that has a whiff of novelty when it debuts. The problem, he said, is getting people to adopt a drink as a habit. “It depends on how it’s marketed when it has a larger distribution,” he said. Shields’ roots in brewing run deep. 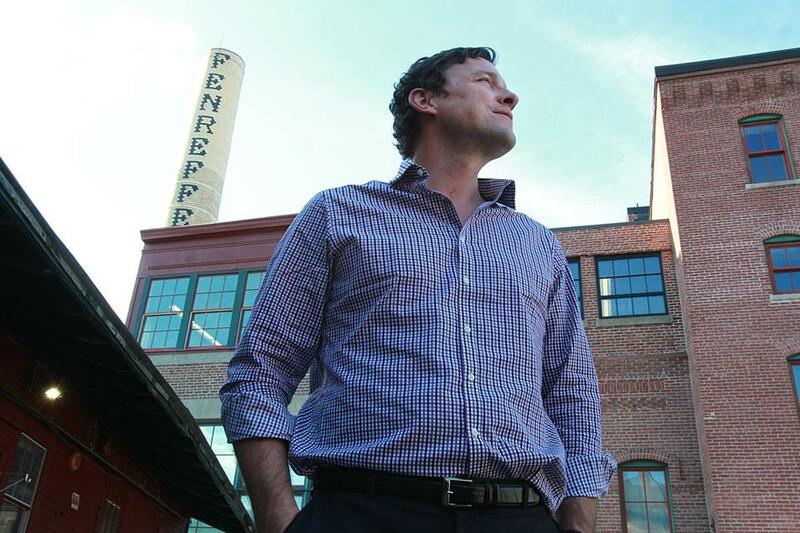 He’s the great-great-grandson of Rudolph Haffenreffer, a Germany immigrant who arrived in Boston after the Civil War and opened his eponymous brewery in 1870. Serving up a pilsner that attracted a following in his fellow countrymen, Haffenreffer eventually operated the largest beermaking facility Boston in the early 20th century, producing more than 4 million cases annually. Today, the massive brick Jamaica Plain factory is occupied by Boston Beer Co., the maker of Sam Adams. But the Haffenreffer name, or a portion of it anyway, still adorns the smokestack that hovers over the MBTA’s Stony Brook Station. (The tower now reads “fenreffer,” after its top was removed for safety reasons.) “My mother used to do her homework in the bottling facility after school,” Shields recalled during a recent visit. T.C. Haffenreffer Jr. stopped operating the brewery in 1967, but Shields, a Hamilton native, grew up picking his grandfather’s brain about brewing trends. After college, Shields, now 42, developed his own pedigree in the beverage industry, overseeing juice production for Nantucket Nectars then wading into winemaking at Wolffer Estate vineyards on Long Island, N.Y. He followed that with stints studying food science at Cornell University and fermentation at the University of California Davis. Having established a flair for flavor, Shields took jobs at some of the largest beverage brands, developing varieties of Mott’s Apple Juice for Cadbury Schweppes, Coolattas for Dunkin’ Brands Group, and flavors of Gatorade for PepsiCo. He eventually acquired the rights to produce some of his ancestor’s original recipes, including Private Stock, a malt beverage that had been a bestseller in the 1950s and ’60s. But he realized he needed to respond to a shift in drinkers’ palates. Beer used to account for 50 percent of all alcohol sales. In the past 15 years, distillers and winemakers have increased their market share, and the field is now equally divided among the three, leaving craft brewers vying for retail shelf space. Trends have also tilted toward drinks that are light and bubbly, with prosecco sales alone climbing 36 percent in the United States in 2015. “The natural inclination as a brewer was to brew something that’s as close as they could get to what they like about spirits and what they like about wine,” he said. Shields began brewing batches in his garage. Technically, he said, it’s a beer, but he uses dextrose as the sugar in place of malted barley. Instead of hops, he adds cold-pressed citrus oils. The result is a not-too-sweet elixir. To get the endeavor off the ground, Shields raised money from friends, family, and early supporters, but he declined to say exactly how much. “We decided to build the business by re-investing profits, as opposed to taking on more and more outside investors,” he said. He served his first batch at the Greenwich Wine and Food festival in 2013 and has subsequently amped up production to 300,000 cases a year. Six-packs are available at Whole Foods, Trader Joe’s, and several other grocery stores in 12 states. In June, Target will begin carrying the product nationwide. Janelle Nanos can be reached at janelle.nanos@globe.com. Follow her on Twitter @janellenanos and on betaboston.com.